Aerial gliding behavior occurs in various wingless vertebrates, including mammals, snakes, lizards, and frogs. However, gliding was unknown in terrestrial arthropods until it was described for arboreal ants in 2005. Since then, we have been collaborating with Dr. Robert Dudley’s lab to understand the aerodynamic mechanisms and evolutionary relevance of gliding behavior in various arthropod taxa. Some of our more important findings are summarized below. Please feel free to use our videos for educational purposes: Gliding Ant Videos, Gliding Bristletail Videos, Gliding Spider Videos. 1) Many canopy ants glide. The original discovery of gliding ants (Yanoviak et al. 2005) focused on Cephalotes atratus, but also included a supplemental list of various other ant species that can glide. We have continued to add to the list when possible (including African ants; Yanoviak et al. 2008). Our current knowledge of the phylogenetic distribution of gliding among ant genera (and within Cephalotes and Pseudomyrmex) is illustrated in (Yanoviak et al. 2011). See videos of gliding ants here. Having observed gliding behavior in ants, we started dropping any wingless arthropods we encountered in the canopy as well as some collected from the ground. Whereas wingless (e.g., larval) forms of many winged insects can glide quite well (mantids, true bugs, planthoppers, etc. ), the most interesting non-ant gliders are the jumping bristletails (Archaeognatha) because of their potential relevance to understanding the evolution of wings in insects. This topic is covered in various publications, including Dudley et al. 2007, Yanoviak et al. 2009, and Dudley & Yanoviak 2011. See videos of gliding bristletails here. 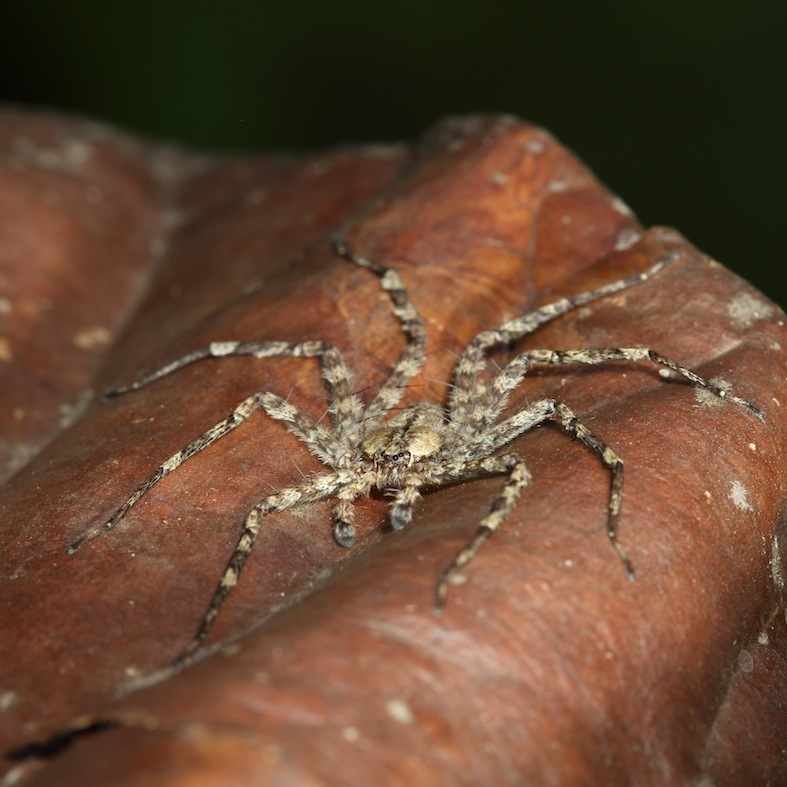 One of our more exciting discoveries was the observation that certain tropical canopy-dwelling spiders called flatties can also glide (Yanoviak et al. 2015). Using videos captured in the field and with a wind tunnel, we found that these spiders glide head-first, and appear to use the front legs to steer. See videos of gliding spiders here. 4) Gliding ants use visual cues and leg positioning to find their targets. Using multi-colored (or gray shade) targets hung from a canopy walkway in Peru, we showed that falling Cephalotes atratus tend to direct their falls toward light-colored objects (Yanoviak & Dudley 2006) including tropical tree trunks, which often are white due to colonization by lichens. Additional field and laboratory studies with Dr. Yonatan Munk revealed the details of the trajectories of falling C. atratus and showed that directional changes are effected via positional adjustments of the hind legs relative to the body (Yanoviak et al. 2010, Munk et al. 2015).